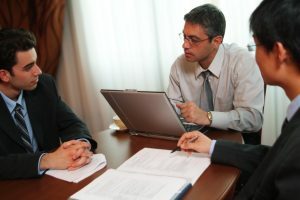 So, some topics that everyone should be aware of before they get too involved in any court case might be things like understanding what structured settlements are, how lawyer’s costs factor in, the difference between civil and criminal trials, how long court cases typically last, and how juries work. All of this information is pretty easily obtainable, but still important to know. Have you ever wondered how some people who lose court cases are able to pay those huge sums of money all at the same time? It turns out that there’s a common alternative to the single payment, and that comes in the form of paying structured settlements. The amount of money due is the same, but it’s spread out over a longer period. This kind of settlement gives a lot of flexibility to certain parties. Lots of people get so caught up in the moment when it comes to court cases that they forget to include lawyer’s costs into the equation of the entire situation. Lawyers can charge several different ways, including as a percentage, as a flat fee, or as an hourly amount. The better or more well-connected the lawyer, the more expensive the price tag. Many people don’t know that there are two basic types of court cases as well – civil and criminal. The way that they proceed is quite different, and the outcomes and awards given to plaintiffs are in an entirely different spectrum as well. If you find yourself involved in a case, one of the first decisions that has to be made is which of these options will be considered. Some people are taken aback by how long court cases can go on. Depending on what area you live in and how the judges are scheduled, it can potentially be a long time before some issues can be resolved. Juries might not work exactly the same way that you figure that they do from the movies. And if you’ve never been on jury duty before, you have even less information about the process. Be sure to do a bit of research about the details when you have a free moment, and you’ll gain a much greater understanding of the legal system as a whole.